BIG SALE!! HEART PAPERWEIGHTS BIG SALE!! Sparkling huge and brilliantly cut, these Crystal Heart Paperweights make endearing gifts! They are perfect Feng Shui tools energizing a dead space with Chi energy or place them in your bedroom for a love cure! 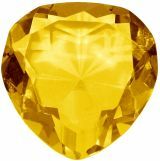 Optically pure crystal with no swirls or bubbles. 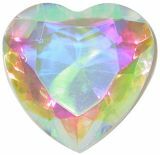 Sparkling huge and brilliantly cut, these Crystal Heart Paperweights make friendship gifts! They are perfect Feng Shui tools energizing a dead space with Chi energy or place them in your bedroom for a love cure! Optically pure crystal with no swirls or bubbles. Sparkling huge and brilliantly cut, these Crystal Heart Paperweights make romantic anniversary gifts! 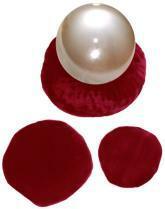 They are perfect for Feng Shui Love Cures. Place them on your bedroom nightstand for a love cure. Optically pure crystal with no swirls or bubbles. 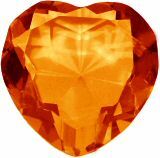 Sparkling 1 1/2" - 2"diameter brilliant cut Amber Crystal Heart Paperweights makes a dazzling paperweight! Engraving quality, optically pure crystal with no swirls or bubbles. Sparkling huge and brilliantly cut, these Crystal Heart Paperweights make romantic birthday gifts! They are perfect for Feng Shui Love Cures. Place them on your bedroom nightstand for a love cure. Optically pure crystal with no swirls or bubbles. Sparkling huge and brilliantly cut, these Crystal Heart Paperweights make heartwarming wedding favors! They are perfect Feng Shui tools energizing a dead space with Chi energy or place them in your bedroom for a love cure! Optically pure crystal with no swirls or bubbles. We now have Aurora Borealis Crystal Hearts! 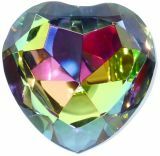 Dazzling 1 1/2" - 2" wide brilliant cut Aurora Borealis Crystal Hearts makes an eye popping paperweight! Aurora Borealis is a rainbow coating which reflects infinite variations of light and color depending upon position and light source. Optically pure crystal with no swirls or bubbles. New and stunning Peacock Multi-Colored Crystal Heart Paperweight. 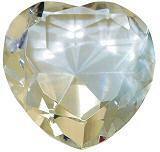 Sparkling huge 3 1/3" wide brilliant cut Peacock Crystal Heart is pure eye candy! These diamond hearts have silver foil on the back to create full bodied rainbow colors of blue, green and red in infinite variations of color depending upon position and light source. Optically pure crystal with no swirls or bubbles. Boxed. Sparkling huge and brilliantly cut, these Crystal Heart Paperweights make endearing gifts! They are perfect for Feng Shui Love Cures. Place them on your bedroom nightstand for a love cure. Optically pure crystal with no swirls or bubbles. Sparkling huge and brilliantly cut, these Crystal Heart Paperweights make romantic anniversary gifts! They are perfect Feng Shui tools energizing a dead space with Chi energy or place them in your bedroom for a love cure! Optically pure crystal with no swirls or bubbles. After multiple requests we now have Hot Pink or true Dark Fuchsia Crystal Heart Diamonds!! 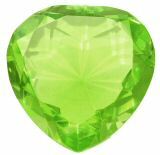 Sparkling 2" wide brilliant cut Hot Pink Crystal diamond makes a dazzling paperweight! Engraving quality, optically pure crystal with no swirls or bubbles. Sparkling huge and brilliantly cut, these Pink Crystal Heart Paperweights are sought after favors and gifts for weddings, parties and charity awards! These paperweights can be engraved for awards and commemorations and are optically pure crystal with no swirls or bubbles. Sparkling huge and brilliantly cut Ruby Crystal Heart Paperweights say True Love and make the most romantic gifts! 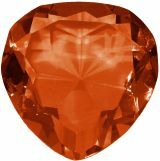 They are perfect Feng Shui tools energizing any room with Chi energy radiating crystal love energy! Optically pure crystal with no swirls or bubbles. Dozens of round and square velvet pillows in a choice of four bright colors and four sizes are a perfect display stand for any of your treasures. Made from the finest velvet, these hand-crafted pillows display diamond paperweights, spheres, eggs, crystals, jewelry or any asymmetrical object with drama and style!